SKU: 17043. Categories: Mediums, Painting & Painting Accessories, Varnishes. Tags: matt, reeves, varnish. 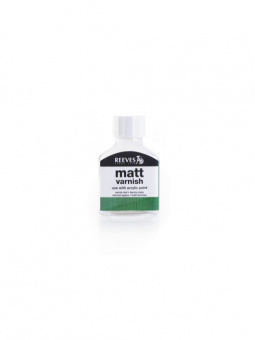 Reeves Matt Varnish is a permanent varnish that can be used to protect finished paintings. Matt Varnish can also be mixed with Reeves Gloss Varnish to vary the final finish. It will dry to a non-yellowing finish.